The story of the eccentric Modlin family—Margaret, an obsessive painter; Elmer, a supporting actor; and Nelson, the couple’s eldest child, a model, actor and radio announcer, who live in Madrid in the 1970’s—comes to an end in 2003. The day that the last of them died someone threw all their belongings out of the window of the building at Calle del Pez 3 in central Madrid. The story of this American family lies strewn about on the pavement: clothing, objects, letters, paintings, notebooks, and hundreds of photographs and videos, which show three people in incomprehensible poses and phantasmagorical paintings. It was there on the pavement in Calle del Pez that the Spanish photographer Paco Gómez met this peculiar family. This was also the beginning of the obsession of this photographer who saw in the photos his booty and wondered, as we do, Who were these people? And more importantly, “How did all this stuff end up in the rubbish?” Paco Gómez had not found a treasure; he had found an obsession. For ten years, he tried to reconstruct the history of this family and devoted his time to investigating. He interviewed almost everyone who had had anything to do with the Modlins, visited the places where they had spent time, watched hundreds of films in which Elmer Modlin had appeared as a supporting actor, studied the paintings of his wife Margaret (the self-styled best painter of the 20th Century), entered the ruins of what had been their house. This American family was elegant and undoubtedly eccentric. In one photo we see the father, naked, showing the camera his worn underpants, in another this man is crucified; in yet another, we see the son, an Adonis posing with an aristocratic attitude, in another, the mother, haughty, painting a portrait of Franco. The Modlin appear as extras in films during the late, less sexually repressive stage of the Spanish dictatorship, had associated with Henry Miller, travelled to the Alcarria and the villages of Extremadura, leaving their magnetic imprint on the craziest places and the most varied people. Javier Marías mentioned one of the Modlins in an article and a deaf-mute expressed his admiration for them. Agustín Fernández Mallo fantasizes about the Modlins in his book Nocilla Dream and the waitress in a traditional coffeeshop remembers them with affection. Many people had been touched by them but nobody knew quite who they were. Paco Gómez pieces together the biography of this strange, enigmatic family and saves them for posterity as they had so much hoped to be. An atypical book halfway between literature and photography, printed in four colours in an exquisite edition. It creates a story that is read as it is seen or is seen as it is read, in which the reader gradually becomes a spectator while generating a film in his/her mind. Text and image make up a single literary body which brings together in a natural manner such diverse literary genres as the journalistic feature, the detective-style biography, diaries, fiction and, of course, photography. en espectador generando una película en su imaginación. Texto e imagen forman un mismo cuerpo literario en el que confluyen de manera natural géneros literarios tan distintos como la crónica periodística, la biografía detectivesca, los diarios, la ficción y, por supuesto, la fotografía. Fracaso Books, 2013. 288 pages. Cuatricomia. 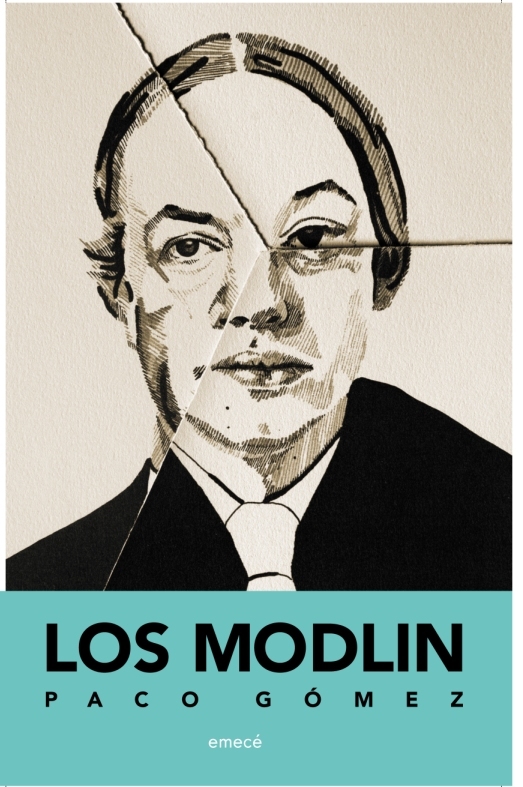 “The Modlins transmits, almost without filtering, a twofold fascination: that which emerges from the very life of the Modlins and that which Gómez experienced during his ten years of research.” Revista El Cultural. “Lucidity and honesty, this is precisely what is extracted from this thrilling story. The book’s both literary and documentary value are the keys to the success of any good story: powerful images and the author’s commitment to the story. A real master class in the creative process for writers, photographers and filmmakers interested in the documentary genre.” Revista Más de Arte.